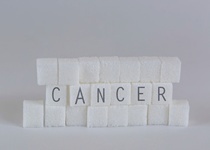 Home » Cancer » Obesity Soon to Be Leading Cause of Cancer? It’s no surprise that your weight impacts your health; that’s precisely why there’s a range called a “healthy weight.” You know that being heavy greatly increases the risk of cardiovascular disease and diabetes. But guess what? It also makes you more susceptible to a variety of serious cancers. People always associate smoking, drinking, and sunshine with cancer risk, but the truth is that obesity could very well overtake smoking as the leading cause of cancer. Having high body fat alters the way your body functions and makes it more difficult for doctors to recognize and treat cancers. That’s why so many tumors go undetected in the early stages; the fat covers them up. I have to say that this really comes as no surprise to me. Being overweight or obese causes chronic inflammation and puts a lot of extra stress on your body. This only makes it easier for harmful, cancerous cells to grow and proliferate. When your body is chronically inflamed, it means your immune system is working overtime and is unable to address more pressing issues. This is how cancerous cells can appear and spread more easily throughout your body. When your immune system is preoccupied, it can’t focus on stopping the harmful cells. For example, hormone-sensitive breast cancers could be tied to obesity. Your immune system creates chemicals that are required to fight inflammation, but also increase estrogen levels. If you’re fighting chronic inflammation, these levels can get quite high, resulting in excess estrogen that causes breast cancer. Fat also produces tissue that can stimulate or stop cell growth, leaving your body unequipped to fight cell damage. A large-scale study published 11 years ago found the heaviest participants were more likely to die from cancer than those at a healthy weight. The results, published in the New England Journal of Medicine, showed excess fat could account for 14% of all cancer deaths among men and 20% among women. The links have become even stronger in the past decade. The National Cancer Institute says 84,000 new cancer cases each year are linked to obesity. The American cancer society has noted a relationship between weight and at least 12 cancers, including breast, kidney, and pancreatic. Excess weight increases your risk of cancer, while making early detection and treatment that much harder—meaning you may be risking your chances of survival. You know what you have to do to lose weight; cancer risk is another reason why you should be doing it. Eugenia, E., et al., “Overweight, Obesity, and Mortality from Cancer in a Prospectively Studied Cohort of U.S. Adults,” New England Journal of Medicine 2003; 348: 1,625–1,638, doi: 10.1056/NEJMoa021423. Wilson, J., “The link between fat and cancer,” CNN web site, October 1, 2014; http://www.cnn.com/2014/10/01/health/obesity-cancer-asco/index.html?hpt=he_c2.